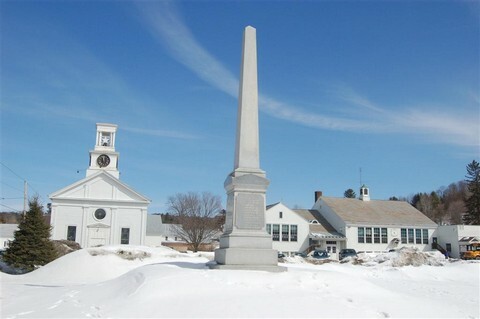 The monument is located on the green in the village of Cabot. The inscription on the front is written on the top of this page. 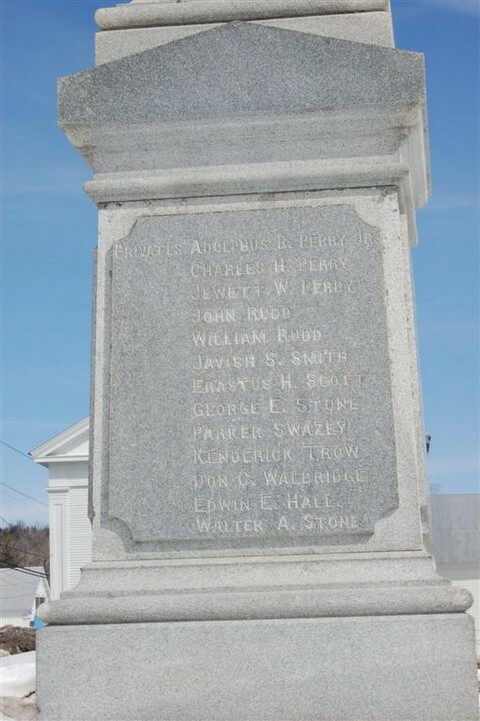 Listed o the other three sides are the names of thirty-seven men from Cabot who died during the war. 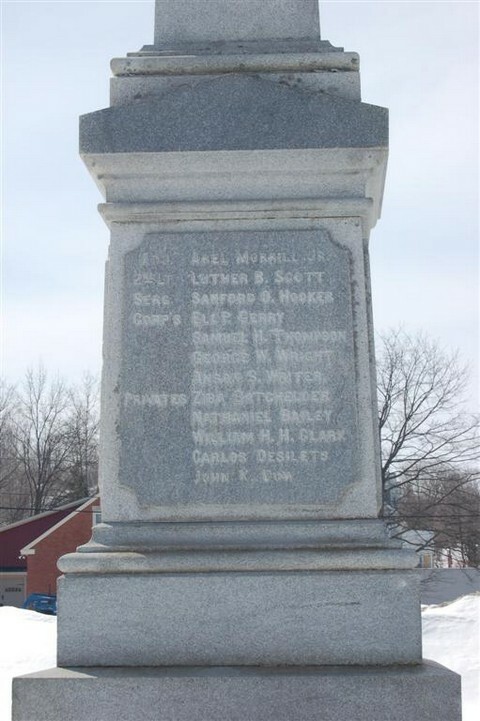 "The Civil War Monument honoring the men who fell was set in 1876. 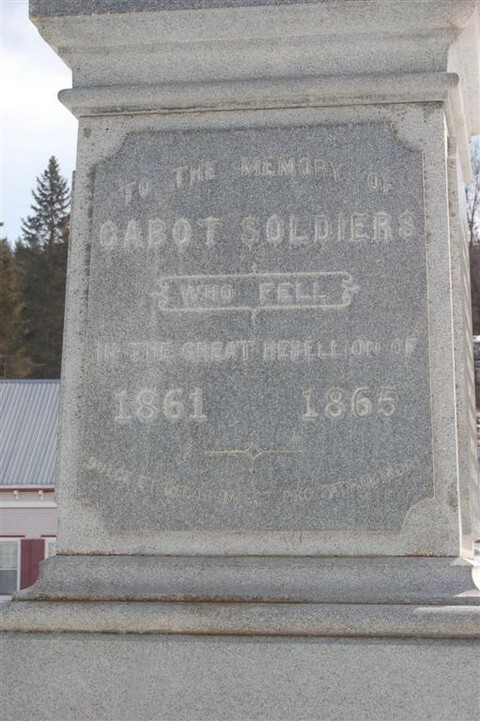 It is of Barre granite, 21 feet tall, and sits on the Commmon in front of the Cabot United Church. 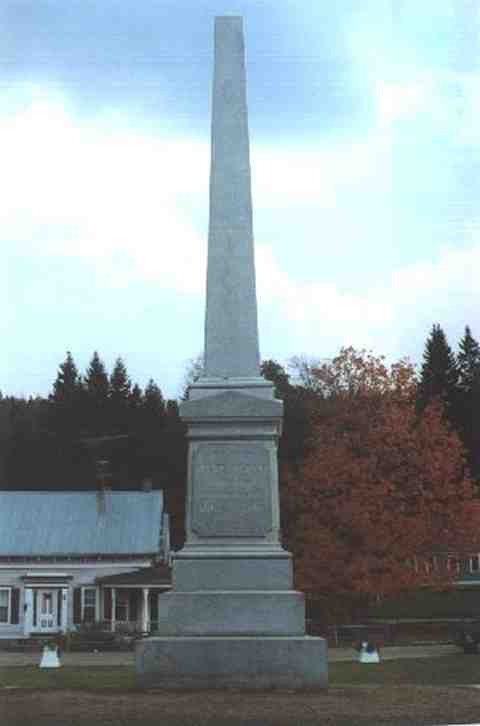 There is an inscription on the west side, and twelve names inscribed on each of the remaining three sides. 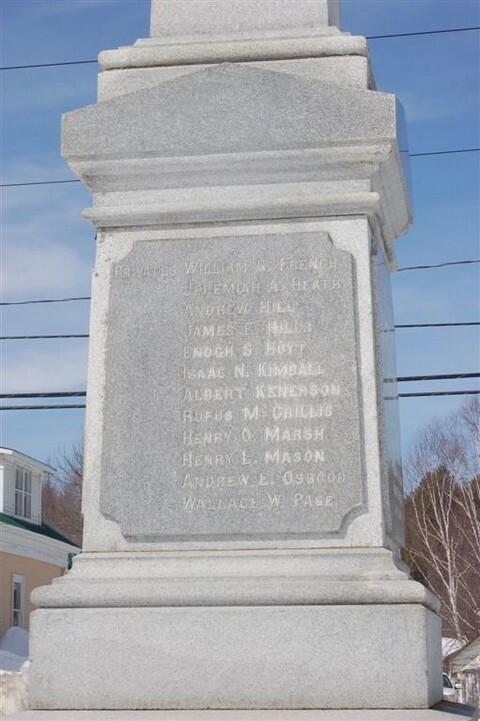 A dedication ceremony took place on July 4, 1876." 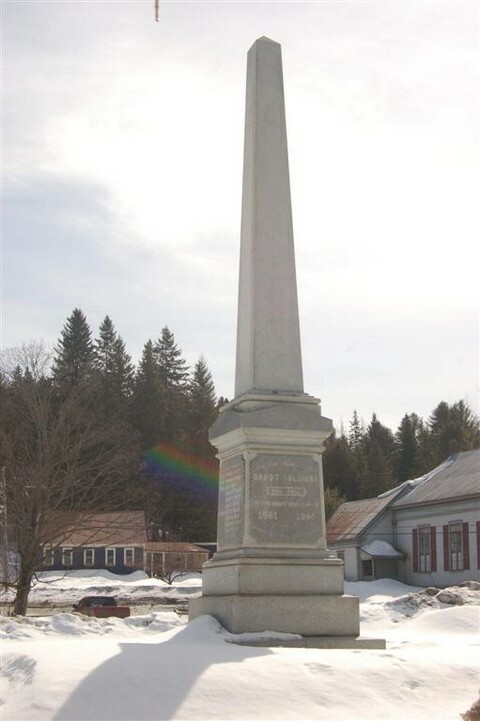 Initial photograph courtesy of Peter Flood, great-grandson of 1st Lieutenant Jerome B. Hatch, 1st Vermont Cavalry. Additional Courtesy of Francis Guber.